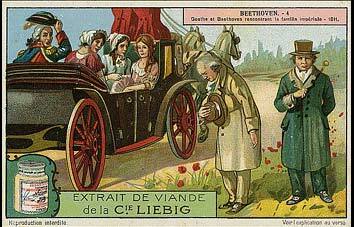 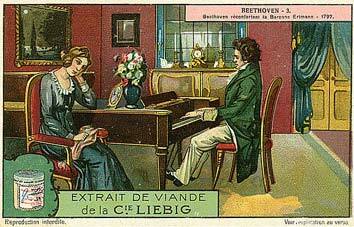 The 1203 series of the French Liebig cards depicts the life of Beethoven. 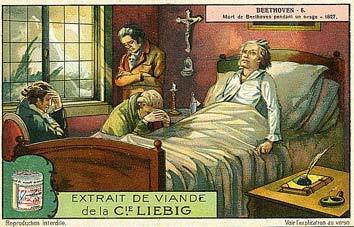 It is made up of six cards. 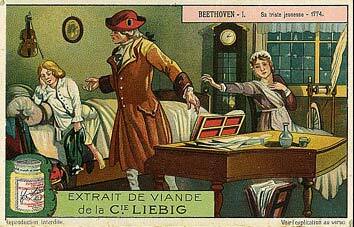 This series also exists in German. 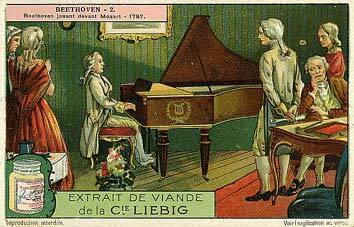 Actual size of cards: 11 cm x 7 cm.